On Thursday, Oct. 26, CDOT and Kraemer North America hosted a ribbon-cutting ceremony at America The Beautiful Park to celebrate the completion of the I-25/Cimarron Interchange Design-Build project—the second largest transportation project in Colorado Springs' history, behind COSMIX. Contractor(s): Edward Kraemer & Sons, Inc.
One of the region's busiest interstate highway interchanges is preparing for a multi-million dollar makeover. 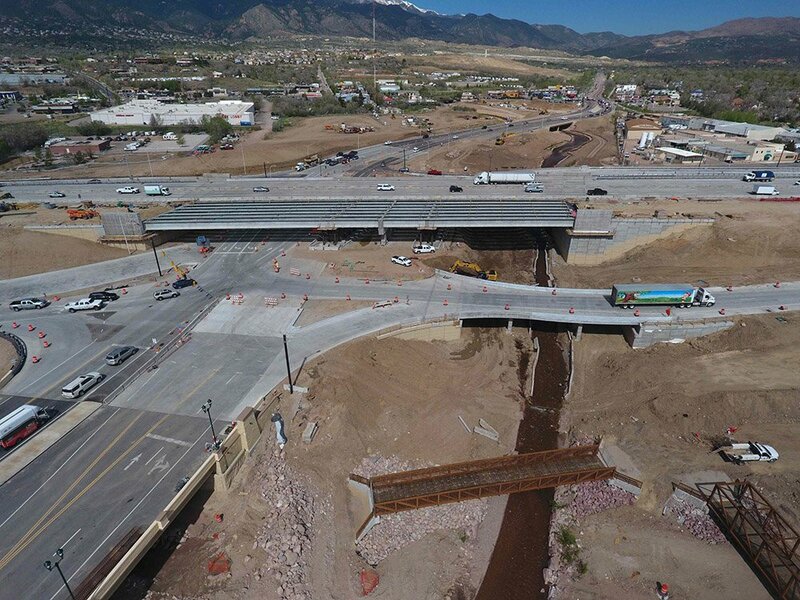 The Interstate-25/Cimarron Interchange reconstruction is the second largest highway project in Colorado Springs history (COSMIX—Colorado Springs Metropolitan Expansion Project: 2004-2008—is the largest). 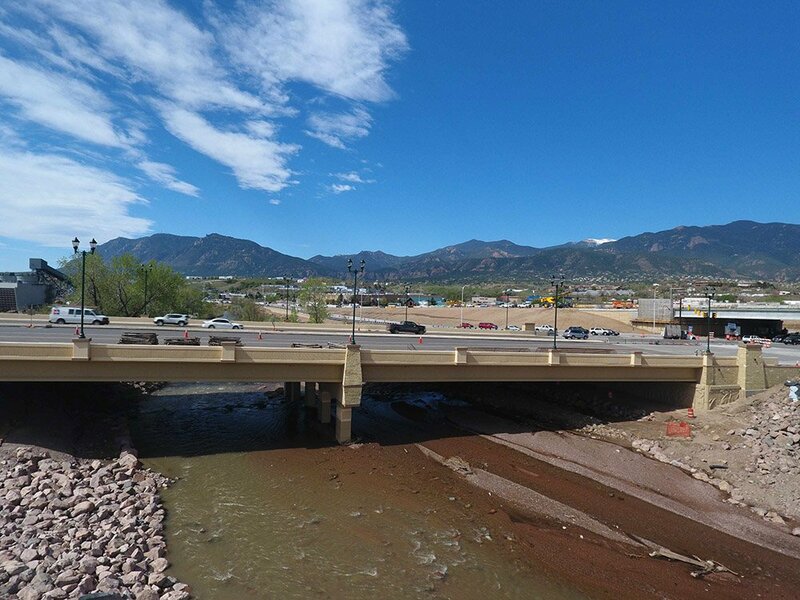 The project, slated for completion in December 2017, will transform the decades-old structure into a more efficient and more attractive gateway to Colorado Springs, El Paso County and the mountain communities to the west. Following pre-construction activity in June 2015, local, state, and federal transportation officials and organizations realized the culmination of years of collaborative efforts to study, plan and fund the project. 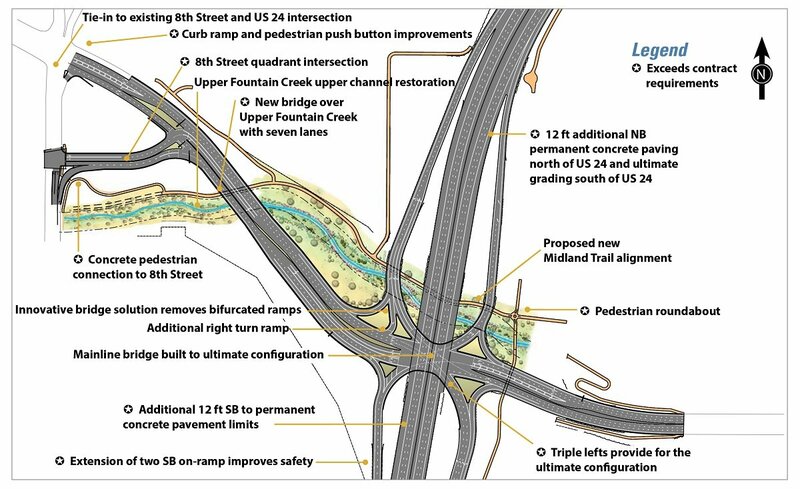 I-25 and Cimarron Street is a key local and regional interchange that serves as a primary connection to downtown Colorado Springs to the east, and to neighborhoods and mountain communities to the west. The new connection between 8th Street to Cimarron Street will greatly reduce the traffic at this intersection. This connector is anticipated to reduce traffic at this intersection by 20 percent on weekdays and 40 percent on weekends, pushing off the need for additional improvements at this location for several years. The $113 million project is fully funded. 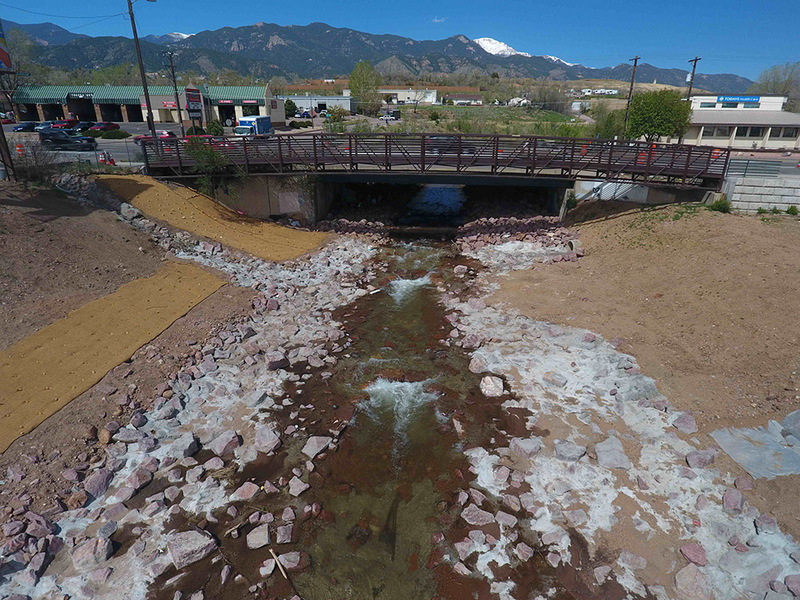 Project funds have come from multiple federal, state, RAMP (Responsible Acceleration of Maintenance and Partnerships), local federal Metro funds, and local sources, including local match funding from the project partners of the City of Colorado Springs and El Paso County.